Narrating the Nation – How does the narrative of ‘New Turkey’ shape the self-image of Turkish migrants and their descendants in Austria? Five decades after the beginning of work migration from Turkey to Austria, the people who came now form part of the Austrian society. Austrian Turks dwell transnational styles by living in Austria, participating socially, culturally and economically in Austrian society while maintaining strong ties to Turkey in sending remittances, visiting family and, in some cases, by planning remigration. One of those ties to Turkey is a political one: The current ruling party, Justice and Development Party, in Turkey represented for many the foster child as a secular Muslim society; however, been promoting a promising ‘New Turkey’ (White 2013) by breaking with the former secular Kemalist Republic and inducing the rising of an Anatolian bourgeoisie (Yavuz 2003) this new identity lead to severe concerns. The focus is on money as well as social remittances, i.e. objects, values, social capital, ideas and narratives. 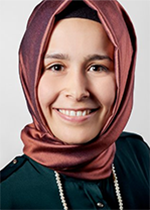 With this perspective, the study investigates how the political change in Turkey and the discourse of a rising Islamic political identity is perceived in the Turkish diaspora communities in Austria. To what extend do the narratives of Turkishness shape the transnational identity of Austrian Turks? In addition, how does renationalisation take place at a stage of transnationality? Claiming transnational identification as a form of social remittance, the epistemological concern is to understand and describe how self-images emerge through narratives. The research design combines approaches from discourse analysis and ethnographic fieldwork. With this triangulated methodology, different narrative positions and various forms of identifications are to be detected. It is a matter of concern to understand the developments on a political and social level and not merely reproduce the narrative of ‘New Turkey’, thus the ethnographic approach supports to accompany the daily routines of the actors and the attempt to see their positions through their eyes and with their own descriptions.